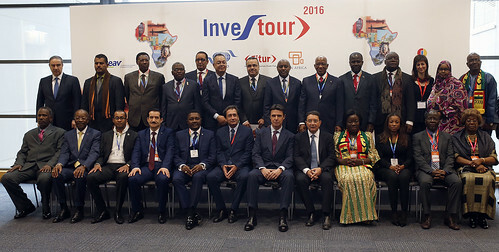 The World Tourism Organization (UNWTO), FITUR and Casa África are jointly organizing the next edtion of the VII Tourism Investment and Business Forum for Africa - INVESTOUR 2016 which will be held on 21 January 2016 in Madrid, Spain during FITUR 2016. The Forum’s main objective is to promote the development of sustainable tourism in Africa, while encouraging exchanges on investment and business opportunities in Africa. With a two session format, a first morning session devoted to round tables on two topics relevant to tourism sector in Africa and a second afternoon session devoted to business-to-business (B2B) meetings, INVESTOUR is a strategic platform that puts African tourism project leaders and potential international partners and investors in direct contact with one another. This Forum is open to the participation of the Ministers of Tourism of African and Middle East countries and other public and private stakeholders in the tourism sector in the African continent as well as to Spanish and international public institutions and private companies and investors around the world interested in business and investment opportunities in tourism-related projects in Africa. This event has taken place on 21 January 2016 in FITUR, Madrid, Spain.